Ideal Physician Candidate Has Accepted Your Job: Now What? A deal has finally been made. After months of detailed discussions and interviews, the candidate that you were determined to land finally signed the agreement. The pieces are now in place for the start of a long-term relationship. At this point, the innate reaction of most is to feel as though your job is done. Ironically, these instinctive feelings of accomplishment are exactly what will initiate the deterioration of a relationship. When an agreement by your ideal physician candidate is final, this should mark the beginning of the courtship; not the end. Far too often, an employer drops the ball on this initial courtship. So much was invested to find this perfect match. No doubt there were multiple interviews in person, via the telephone, or both. Then, suddenly, the wooing subsides, and the new hire is often left without a sense of guidance or even satisfaction from their new employer. In 2008, research indicated that half of physicians who left medical practices did so because they did not feel that the practice was a good “cultural fit” for them. Most indicated that they desired a collegial environment, but few, it seems, were able to find it. 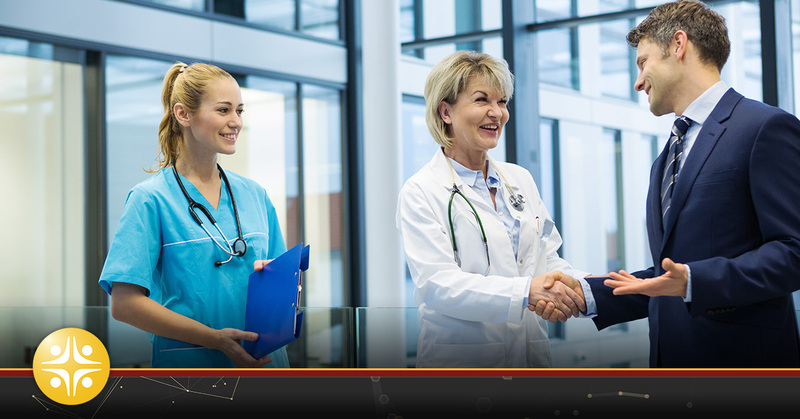 Developing and cultivating a mutually beneficial, long-term relationship with your new physician should be a priority for your organization. Once you’ve landed your ideal candidate, the relationship is at its most vulnerable stage. Rather than decrease your retention efforts, it is imperative that you escalate the attention dedicated to your newly hired physician. The retention efforts should be prioritized immediately after the agreement and before the start date. Where do you start? It is important to remind the candidate that they have made the right decision in choosing your organization. While this courtship should always exist, there are several initial and noteworthy steps that can be implemented to ensure a smooth transition for your new hire. These small, but essential measures can certainly initiate a beneficial long-term relationship for both parties. Engage the Family – Assuming that your newest team member is relocating and in a relationship, engaging their significant other can go a long way in reinforcing their commitment to your organization. Make sure that all members of their family feel comfortable in their new environment. Expose them to the local culture and community. Provide information on the real estate market and schools in your area if the couple has children. Additionally, if the significant other also has a career, help by pointing out some potential opportunities in their field. Aiding the transition into a new job and city will help your new physician and their loved ones feel settled and comfortable in their new surroundings, a fact that can go a very long way in supporting they have made the right decision. Infuse Some Local Culture – If your new physician is relocating from outside the area, take the opportunity to introduce them to their new city. Take what makes your area unique and interesting and allow them to experience it. Perhaps your town is home to a professional sports team. If so, take them to a game. You can even make a gift of the team’s jersey with your candidate’s name on the back. Additionally, you should consider historic sites, local tours, or large community events to help them get acquainted with the area. Send Them A Touch From Work – Show your new hire that you have already made plans for them at work. A great way to highlight your commitment to them is by sending them a personalized letter from the hospital CEO with a personalized picture of their office. Inside their office, you can have personal items already placed on the desk or walls. This picture would certainly signify that you have dedicated time and attention to personalizing their office before they even set foot in the facility. This small gesture will go a long way in verifying to the candidate that they’ve made the right choice. Communication With A Mentor – Physicians who are more established in your organization can provide helpful guidance to newly hired doctors. Peer-to-peer communication, especially among medical professionals, can increase job satisfaction by offering a collaborative environment most physicians seek. A great way to initiate this communication is by identifying a mentor on the staff to maintain communication with the candidate prior to their start date. By providing this head-start to the newly hired candidate, you are enabling collegial relationships to develop without the additional stresses normally associated with the first few weeks of work. In the end, your organization, its patients, and all involved personnel will benefit from the guidance a mentor can provide for your new physician. Include Them In Internal Events – Another considerate act that will go a long way with a new hire is an invitation to a special internal event within the hospital. At this event, a special introduction of your candidate can be made by another key team member. This gesture will allow other team members a chance to introduce themselves to your candidate, so they are familiar with one another before your candidate starts on the job. Another small act would be to include your new hire on all department or hospital newsletters. While this may not seem like much, it will enable the new hire to get a true feel for everything taking place within the hospital. If your organization has finally found “the one” after a long and extensive search, don’t lose them due to lackluster retention efforts. Remind your candidate that they have made the right decision, and they are gaining more than just a job. This engagement should start immediately following the candidate’s acceptance of the job, and it should never completely go away. By taking reasonable and thoughtful steps throughout the entirety of the relationship, you can increase your candidate’s satisfaction with their decision and reduce the likelihood of turnover.